Have you ever wondered what it is that is killing your E-mail open rates? It’s sending irrelevant emails to wrong recipients. To solve this issue – introduce Email list segmentation to your internet marketing knowledge base. Email list segmentation is an Email marketing method in which you segment your contact list. This technique is used by organizations to send relevant communications to specific people in their contact list. There are number of creative ways to segment your email list in innovation campaign that your leads and customer will enjoy. Note: The more information you collect about your Buyer Persona, “the more opportunities of lead Generation” you have, to tailor your emails to resonate just right. Email marketing segmentation is much more. It’s about understanding your audience better and (ideally) learning how to better serve them in the process. How to Segment Email Lists? Now you know that list segmentation actually works but its success depends entirely on the kind of customer data you have. Always remember that no customer information is ‘not useful’. It’s our duty to make any kind of customer data work for us. You can split the list on any number of conditions, such as purchase history, age, geographic location, or previous email campaign interactions to create relevant messages that will engage the list member. Why List Segmentation Matters in Email Marketing? Still not convinced? Then you have to check out below listed reasons about why list segmentation matters so much in Email Marketing. Even if you are selling a single product or service, you’ll still won’t have only one customer. Like if you are selling a t-shirt, one sized t-shirt won’t fit all of your customers. So keep in mind that you have different customers with different problems and needs, meaning they should be treated quite differently. Are you familiar with the reality that all your customers are at different points in the sales cycle, and they require different type of information depending upon the point they’re at. Always segment email marketing depending on the customer’s want and needs and their stage in the sales cycle. This may have become quite obvious after what you read in the above two sections, but when you send targeted, segmented email to your audience, your emails are naturally more engaging to that audience. For example, if you sat down to write an email to people on your list, and you have a much better understanding of who they are and what they’re looking for at that moment, you’ll be able to craft compelling copy that truly speaks just to all those audiences. Now it’s high time, divert your focus on segmenting your communications as it can improve your Email Marketing campaigns drastically. Trust me, just little time investment and you’ll definitely notice your business growing. 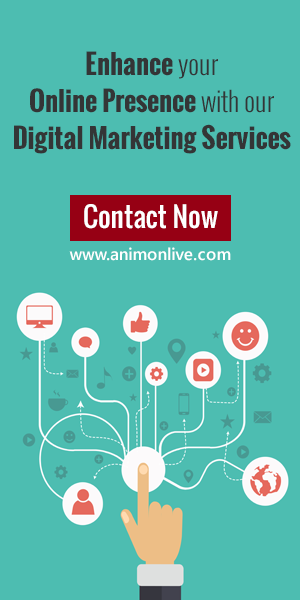 Well, you are most welcome to share your thoughts about Email list segmentation by commenting below. We’d love to know your ideas for future blog posts. Previous Post 5 alternative to google – Know more about search engines.